The idea of a second Brexit referendum is very likely to be put before Britain’s parliament again although the government remains opposed to any new plebiscite, the British finance minister said on Friday. 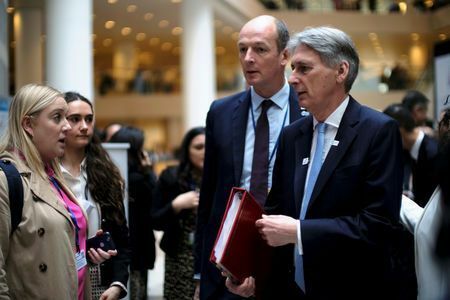 Philip Hammond said he hoped parliament would break the Brexit impasse by passing a deal by the end of June, potentially ending the calls for a new referendum, and there was a good chance of a breakthrough in talks with the opposition Labour Party. I remain optimistic that over the next couple of months we will get a deal done, he told reporters in Washington where he is attending meetings at the International Monetary Fund. But a second referendum could not be ruled out. It’s a proposition that could and, on all the evidence, is very likely to be put to parliament at some stage, Hammond said.